A set of four small all purpose rigid filler funnels for transferring liquid more easily. This set of four small rigid all purpose filler funnels are useful for transferring liquid more easily. 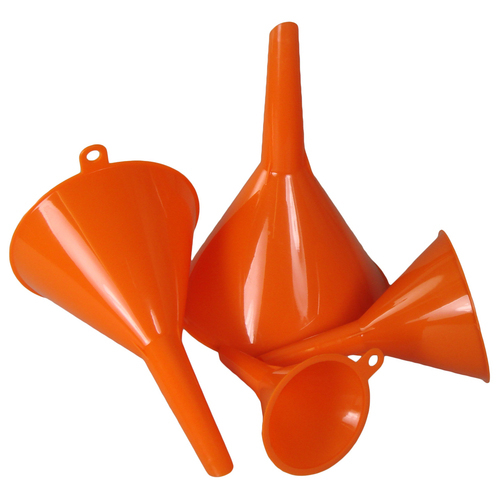 This set of funnels consist of a small (45mm), medium (65mm), large (90mm) and extra large (110mm) funnel each with a tapered spout and tie eyelet. 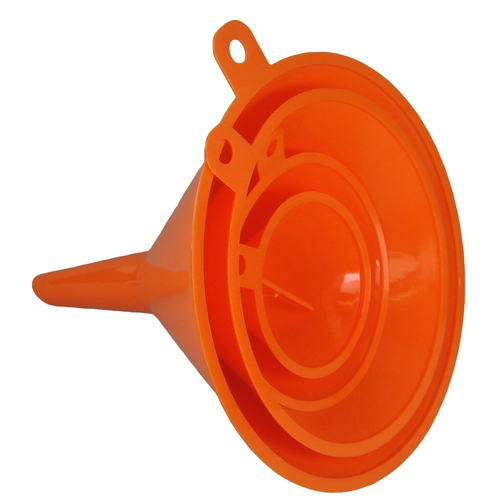 The rigid plastic funnels are suitable for the transfer of liquids, including oil for engine oil changes, and they are also suitable for food applications too, however, please do not try and mix the two!